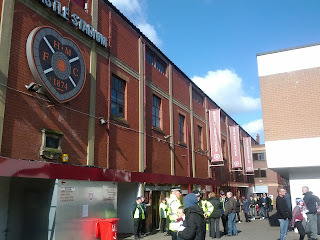 I could write screeds about the history of Heart of Midlothian, the reasons behind the name etc….but I won’t because actually, it’s so interesting it’s probably worth a blog post of its own elsewhere. Instead, I’ll just focus on the club’s home – Tynecastle. 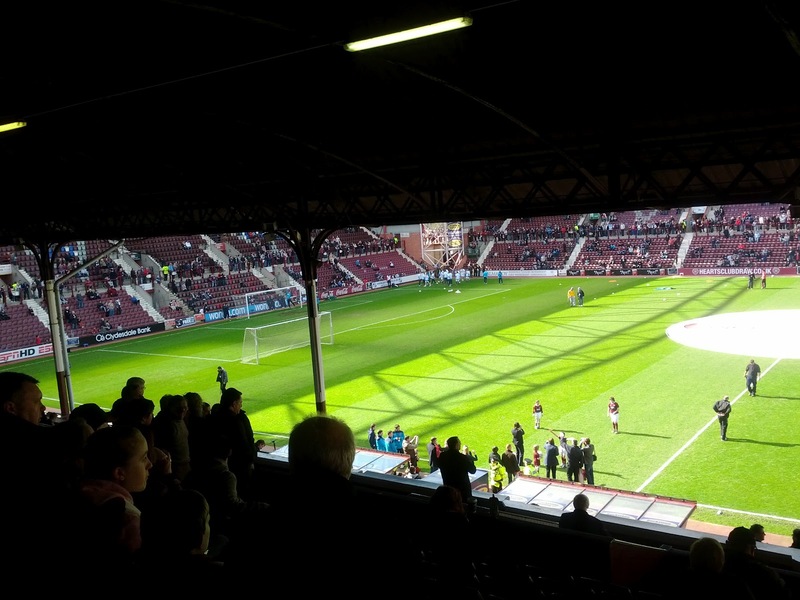 Although formed in 1874, Hearts didn’t play at the current site of Tynecastle until 1886. Prior to that they plied their trade in the Meadows, at Powburn and at Powderhall. Moving to Gorgie in 1881, they played on what is now Wardlaw Street/Terrace until 1886 when the growth of the city meant that tenements replaced the old ground and Hearts started to play on Gorgie Road. The ground has greatly improved since the re-development that took place in the 1990s. 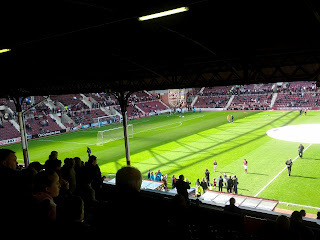 I remember going to Tynecastle as a wee boy and nearly being crushed each time I visited. The introduction of the Roseburn, Wheatfield and Gorgie Stands - all good sized and single tiered – turned Tynecastle into a modern and well-equipped stadium and now the seventh biggest in Scotland. One thing that did remain familiar is the Main Stand which, originally completed just after the First World War, does look slightly out of place. I love that though, and the fact that it’s got the old pillars and an owl on the top of it which is apparently to deter other birds from sitting on top of the stand! The view from the top tier of the Main Stand is restricted somewhat. It doesn’t restrict the view of the pitch, which is fantastic from the stand. It does however, only allow you to see the bottom tiers of all the other stands. This doesn’t take away from the experience mind you, which is enjoyable. The main stand, being as old as it is, does have some real quirks though. 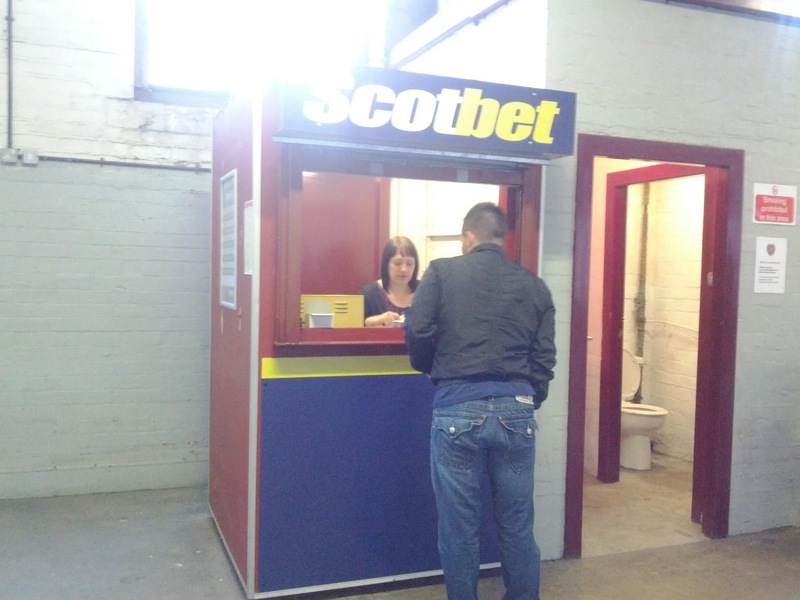 The “porta-bookies”, for instance. And, of course, the below sign which makes is both hugely confusing and grammatically incorrect! Overall, enjoyable stadium in which to watch football, especially the Main Stand. I’d recommend sitting there if you decided to go to see the Jam Tarts. The food at Hearts wasn’t too bad either. The pie was quite nice and came in at £2.00. 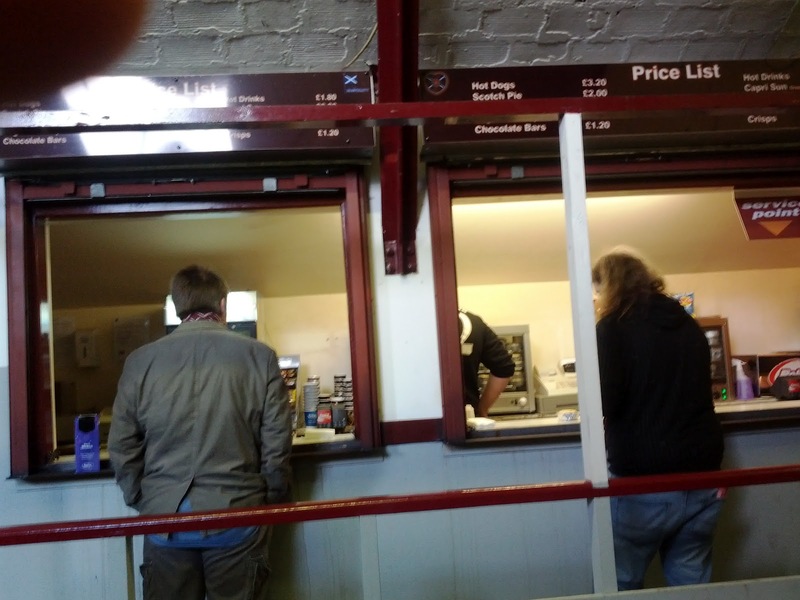 The tea, at £1.80 was nice…once it cooled down which was 37 mins into the first half. I don’t know what sort of ridiculous water heater they have at Hearts but it was literally hotter than the sun! 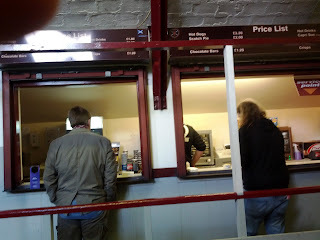 The kiosk in the Main Stand was a weird set-up, with some form of permanent maroon scaffolding perched in front of it, while the “Hearty Pie” on the menu is something I simply didn’t want to risk. When something isn’t clearly labelled, it's just not worth trying! Overall, tasty….but standard SPL prices which is, let’s not muck around, too pricey for what you get. The Jambos faithful were on good form as well - unsurprisingly, considering it was an Edinburgh Derby. Their songs were filled with humour though and I found myself laughing at a lot of them, which made for a nice experience. Decent in volume, appreciative of player’s strengths and weaknesses and supporting their club with a healthy passion I was impressed with the guys and girls around me. The Jambos put on some superb half-time entertainment as well, bringing out three club legends who have a history of scoring for fun against Hibs - and Pasquale Bruno! This both stirred the natives up and wound their visitors up rotten! Hilarious though. Overall – pretty enjoyable I’d say! In terms of footballing entertainment, Hearts will play better than they did in this match and lose games. They weren’t particularly great, but at the same time weren’t ever really under much threat from Hibs who huffed and puffed, had a couple of second half chances but overall, never looked likely to score. Hearts on the other hand had few chances but scored two of them – both fantastic finishes from Craig Beattie and Suso Santana. The Jam Tarts played reasonably good stuff at times, with nobody dropping below a 6/10 (except perhaps Andrew Driver, who looks half the player he once was) and most performing at the 7/10 mark. There were a few exceptions though, who were nearer the 8s and 9s. Craig Beattie – the big fella had a great game up top. 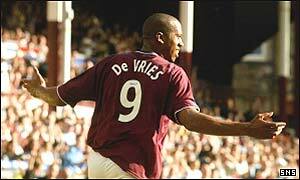 He has really become a focal point for Hearts and looks like an excellent signing. They will be hoping he can stay beyond the end of the season as he seems to have added finishing to his game since he played up here the last time. Not only that but his touch and movement also looks first class and his finish, from Ian Black’s wonderful long pass, was sublime. Ian Black – I’m not going to lie, I do dislike the boy. However, I will say that on his day….he’s a fine footballer. He has quick feet, puts in a good set piece, looks a threat from long range and has a better range of passing that I perhaps gave him credit for. Vital to Hearts and the way they play. Andy Webster – seems to have overcome his psychological illness that hampered his time at Rangers because there seems to be nothing physically wrong with the big man. He had a very solid game again, influential and leading from the back. Very rarely gives ball away and always offers an option to the goalie of a short pass. Again, absolutely vital to Hearts. I paid £27 to get into the Edinburgh derby which, was a bit steep for what I got. 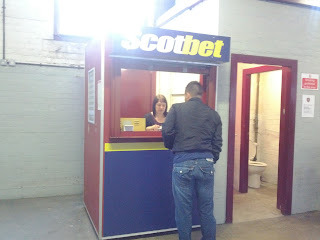 That said, ordinarily you’d be looking at £22 or so to get into see Hearts and, that’s not bad value. Maybe a little expensive when factoring in the potential for more workman-like, as opposed to excellent, performances….and pricey catering. 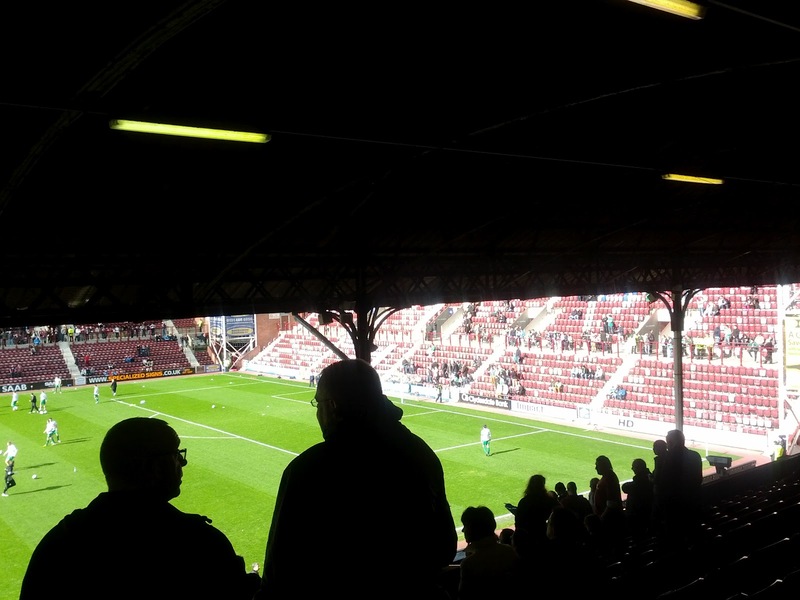 That said, worth getting yourself along to Hearts though. I found it to be a better supporter experience that Easter Road and far better value than the Hibees too. A decent score for the Jambos. Very good article. Cheers for making the effort. No worries! Thanks for the comment. Nice of you to say so! Thought you were a tad harsh with the catering score, but I suppose that is just a reflection of SPL prices across the board. Nice piece overall though, and glad you enjoyed your day! PS. You won't get a better half-time line-up than that, FACT. Cheers Laurie. Quality wise the food was good. Price wise is where you get stung. 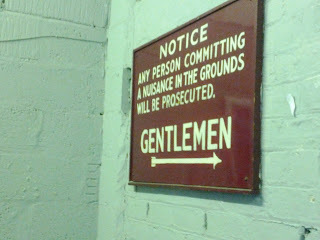 As you say just an SPL (or Queens Park!) reality!